On the day that I want to enjoy and have fun. 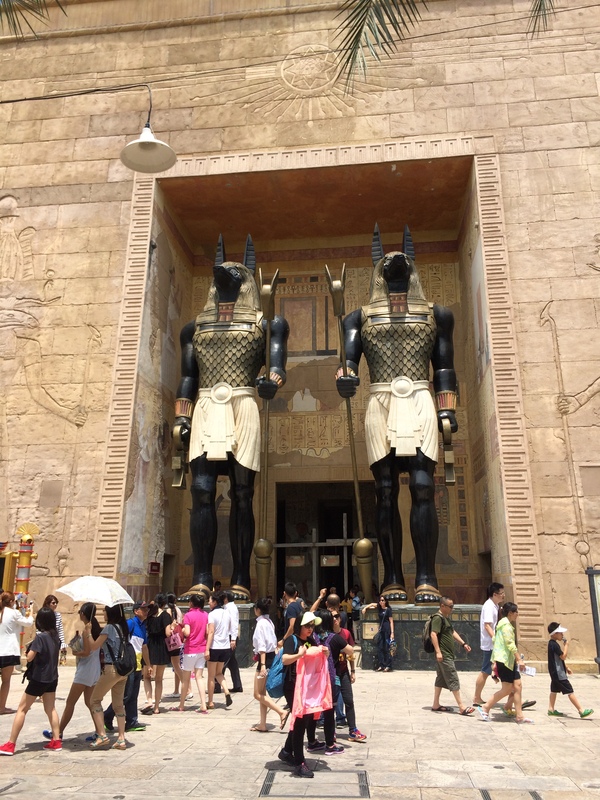 I went to Universal Studio Singapore with a friend. I always thought that I will be heading in alone as USS costs quite a bit but what do you expect for a theme park. This theme park is rich in entertainment and fun. I was glad that my friend actually accept my offer. Anyway, there was a promotion going on and all you need to spend is S$60 and you will also be given a $10 meal voucher. So the whole fun time in the park will only cost you $50. If you were to spend this money on horrible items, I rather you spend it here, at USS. It is divided into several zones and I must say Ancient Egypt has the best ride. The craziest ride ever. It involves acceleration, deceleration and also forward and backward movements. I can’t believe it honestly when I came out of the ride. It was breath taking. It started out fine as they narrate the story about the book and why there was this character. Then all hell break loose when I saw the tram moved to a dead end with animations of insects crawling out. And when the tram started to do a backward spin, the next moment I remember was everyone including me was screaming our lungs out. It was extremely thrilling. Its extremely fast and you can’t stop to catch your breath. The time when you thought its going to take you for another ride, its the end. Lol. So if you really want to have the best experience, put this ride at the last. There were other rides that was good but this is really the best and once you have that experience, other rides will seem like a breeze to you. 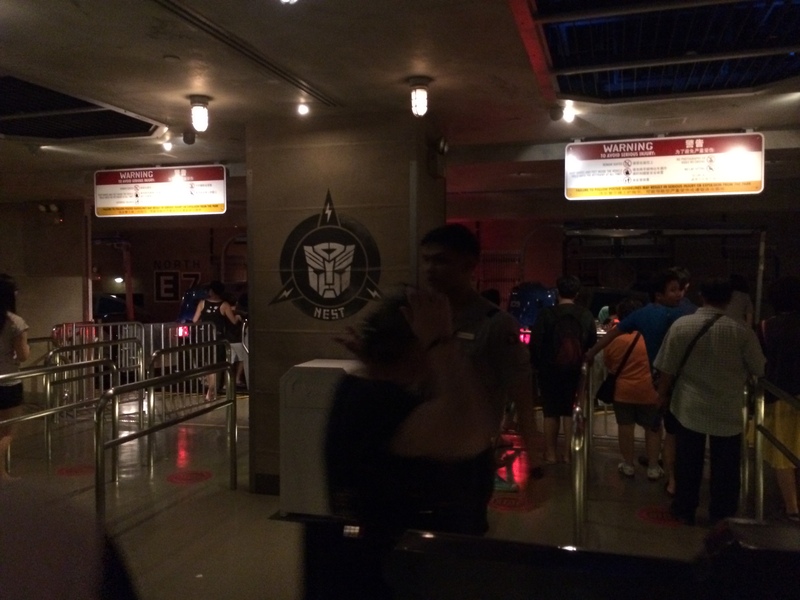 I took the Transformer ride and it was very similar to the Mummy returns but its slower. It makes use of a lot of 3D animations and make you feel as if you are really in the war zone. Its a very good experience. Other zones were good as well. For Madagascar, which was my first stop for rides. It made me feel as if I have wasted my money as there weren’t much thrill in it. That’s a definite last for me if I were to rate it in terms of ride experience. Then we went on to Shrek’s castle. We wanted some interesting ride so we went straight for the airways ride. When we saw the train making its way back, we know that we are in for a hell lots of fun. The speed was there and we did experienced a good time for this ride since its the first thrill ride of the day. Then we made our way to the lost world. The crowd started to sink in and it took us almost half an hour before we could take the ride around Jurassic park. We wanted to have the front seats instead of the rear as we want to have a view of whats in front but don’t underestimate the rear seats. Since your back is facing the direction of the ride, its a crazy experience and when it started to twist and turn 180degree. For 50seconds of your life, its worth it. The day kind of ended early as my friend needed to go off. So we left USS at 4pm instead of trying out the other missed rides and also stay on for shows at Hollywood or New York zones. I wanted to get a chance to meet Elmo but instead I met Oscar first. I wanted to take a picture with it but the person in charge waved off when it was my turn. At that point, I wanted to challenge her and tell her that its my day and I wanted it to happen. I did not make that happen. Within split seconds, I had thoughts of what happened in the last 4 months. Getting rejected over and over again. Why should this even be an issue? So I gave up on it and walked away trying to keep my spirit up as I know there are better things ahead. My friend went for another ride before we decided to call off the day and when we walked back to New York zone, I saw Ernie. I was so surprised. Its my second favorite character in Sesame Street. This round I didn’t give much hope to it on having the opportunity to take a picture with him. So I just told my friend to chill out and follow him, if he stops for a photo shoot then we will grab the chance. Thank god he did stop and I managed to get a photo with him even though it wasn’t Elmo. We part ways on train as I didn’t want to end the day just yet and head straight home. I have no other programs and no other friends to meet up. So I want to try my luck of meeting A at NTU festival. I don’t know why but I have a feeling that she likes Korean artist, so in a casual shirt and long pants with covered shoe, I took a stroll at the Padang under the blazing sun. I found a booth that sell drinks but I can only get it using their coupons. I was lost and I can’t stay there any longer, 15 minutes later I saw myself at Raffles City Shopping mall’s Jco. LOL! I didn’t get the chance to meet her if she did happen to be there. Anyway, I wanted to meet another friend who is working at TCC for the night but I have to wait until 9pm before his shift starts. The only quick way to spend time alone is to catch a movie. Movie that are long can burn at least 1.5 hours away and I am glad that I picked “A most wanted man”. It was really nice and when it ended, I went straight to find my friend at TCC and I spent the entire 16 August not at home. It is truly something that not many will experience. A day that I call it wonderful. I want to thank all those that have wished me on that day. Especially those that I don’t expect to see any like 2 of my most favorite “girlfriend”. They both make a wonderful day for me with their wishes. Appreciate it.